The Earl B. Gilliam Bar Association is an affiliate member of the California Association of Black Lawyers (CABL). One of the organization’s responsibilities as an affiliate is to have members serve on the CABL Board of Directors and other committees such as the Legislative Committee. 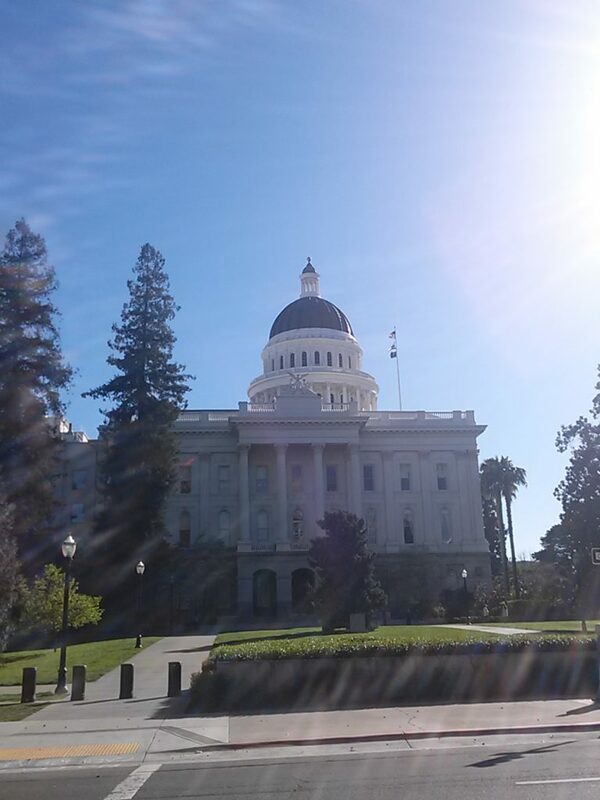 This year, the EBGBA Board voted to support sending its current President – a member of the Legislative Committee – to Sacramento on March 17th to participate in advocacy and informational meetings with state legislators and others. 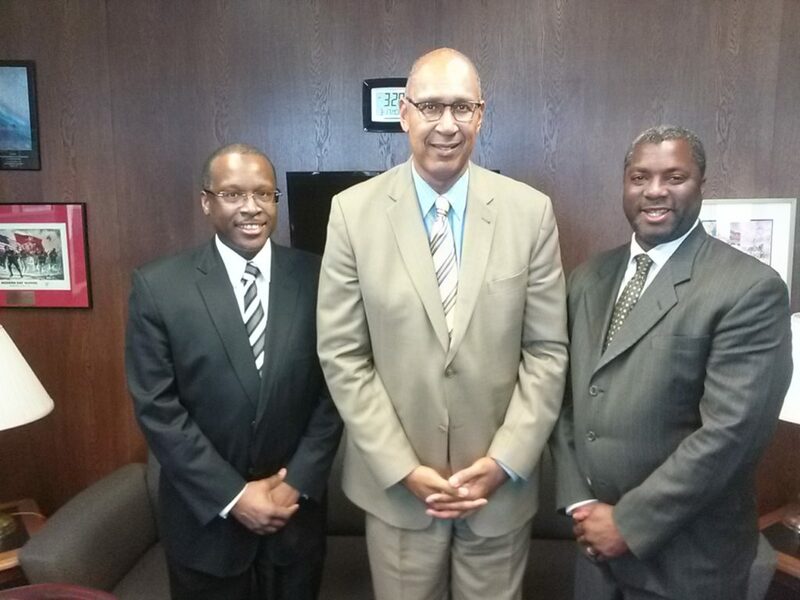 The purpose of CABL’s legislative committee is to provide support for or, in some cases, opposition to, legislative efforts that impact California’s African American communities. 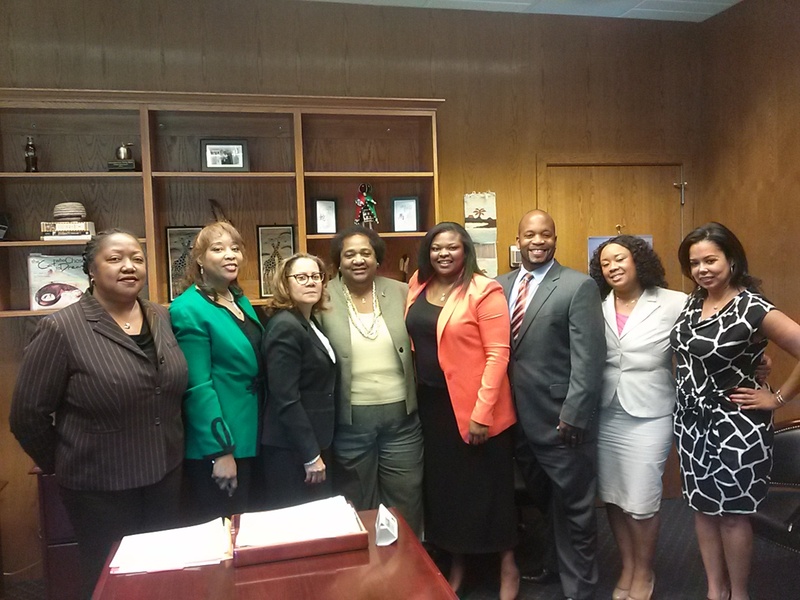 The 2014 trip included meetings with Assemblymembers Shirley Weber, Chris Holden, Reginald Jones-Sawyer and Cheryl Brown (her Chief of Staff), as well as a representative from Speaker Toni Atkins’ office. It also included meetings with state Senators Marty Block and Holly Mitchell and a meeting with Governor Brown’s non-judicial appointments Secretary Mona Pascuil – who discussed the many regional and statewide Gubernatorial appointments that her office sought to fill. Most of the legislative meetings were with members of the Legislative Black Caucus – a collection of African-American elected officials who seek to support issues of social and economic justice and opportunity in their districts. For Earl B. Gilliam Bar members interested in possible statewide appointments, please contact us at ebgbassociation@gmail.com so that we can provide you additional information. CABL took a position on several bills during in advance of the legislative day. These included an opposition to SB 794, a bill to decrease the number of peremptory challenges in misdemeanor trials and support of SB 391, a bill to create additional resources for affordable housing by adding a registration fee for certain documents involved in real property transactions. For a full list of CABL’s legislative committee positions please contact Yvette Roland, committee chair, here. CABL’s participation was well received by the elected officials with whom we met and it gave us an opportunity to use our legal training and experience to help provide input on key issues impacting our communities. The Earl B. Gilliam Bar Association recognizes the importance of CABL’s work and in having a presence in Sacramento and has voted this year to help support CABL both with additional San Diego attorney participation and by reserving funds to host a CABL meeting in San Diego if needed. The Earl B. Gilliam Bar Association will continue to meet with our local officials, including Assemblymember Weber, Speaker of the Assembly Toni Atkins, Assemblymember Lorena Gonzalez, Senator Marty Block and any state elected official willing to interact about important state-level priorities. If you would like to participate in these efforts, please contact Omar Passons, the current EBGBA liaison to the CABL legislative committee, at opassons@gmail.com.